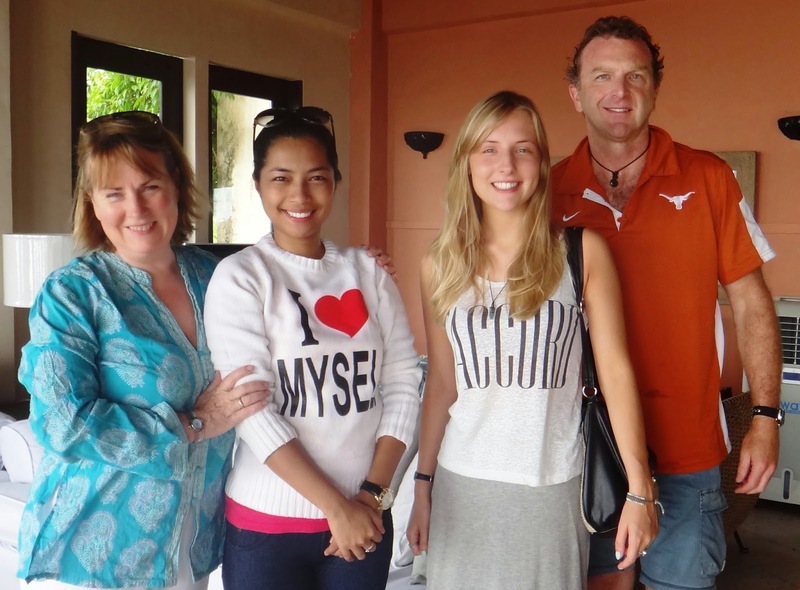 Get to know a little more about each of the International Vacation Home Exchange team. In this post we have a fun interview with Jacque Tongko in Member Services. I love to be surrounded by people that make me happy. I try to meet people who are positive, love what life brings, and love to laugh as it changes my whole world. I also love travelling because it brings happiness! I get the chance to go to places that I never thought could exist. And more than anything else, I love my family and friends! With IVHE.com, I execute different roles every day. I am responsible for membership promotions and sales. I manage member accounts and ensure they are up to date. I provide great welcome services to new members and provide valuable advice to existing and potential members to ensure that everyone has the best possible experience. There are a lot of events that make me smile while working with IVHE, there are three that stand out the most. First, knowing that I am part of this exclusive home exchange community that treats me like a family, second whenever I get compliments from satisfied property owners and guests, and third is the thought of having the opportunity to travel the world for less! Yes, first on the list is Paris - specifically in the heart of Saint-Germain-des-Pres. I would love to know how it feels to live like a Parisian. I’m also dreaming about New York. We have a member property that is perfect to explore New York as it’s in the center of Greenwich Village in Manhattan... And oh, I am also dreaming of this free spirit and travel to Greece. But I have to say, I am saving Italy for my life partner. I believe Italy is the most fascinating country in the world and it is just so right to share it with your one great love! Name your favourite activity outside of family and work. There are many pastimes I enjoy. Some that come to mind include: having a movie marathon or simply leaving my windows open to catch a spring breeze and listen to birds singing. I love to sit outside a favourite café talking with friends. Nowadays, I’m also doing 90-minute yoga sessions, which are great! To get the best trades possible, start planning well in advance to get your dream holiday home. Also when visiting a place for exchange, it would be good to book it during low season especially those highly sought after vacation destinations. However, should you wish to go to places during peak times, remember to visit IVHE’s Prime Time which gives you immediate availability that is exclusively for IVHE members, and then start packing your travel bags! In today’s rushed and technical world, a picture tells a story much faster than a beautifully-written paragraph. That’s why when it comes time for you to photograph your home for the International Vacation Home Exchange, you’ll be ready with these six tips. 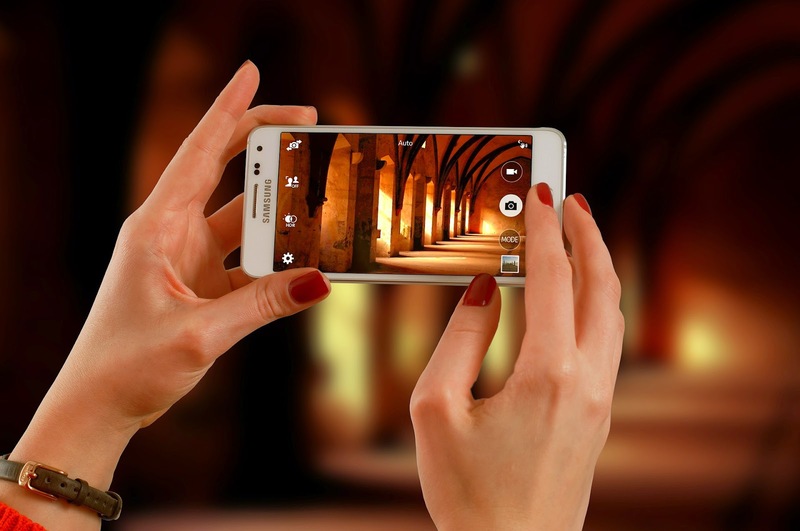 Is your property not quite ready for its close up? Then refer to the “Perfect Preparation of Your Home for Guests” to get your home ship-shape. Not every homeowner is a professional photographer. So for the rest of us, our everyday photos of the dogs and kids are perfectly suitable to share with loved ones and post to our Facebook page. However, when you are taking photos of your home, there are a few steps and tricks to consider before you begin. Get your camera ready! Avoid blurry, unfocused, too dark or overly light photos. Take a few test shots and make sure your camera is on the correct setting for interior or exterior shots. Blurry images are frustrating to the viewer. They will want to skip past these images (and your property). If you have a tripod, use it. Too dark or too light images are also annoying to the viewer. 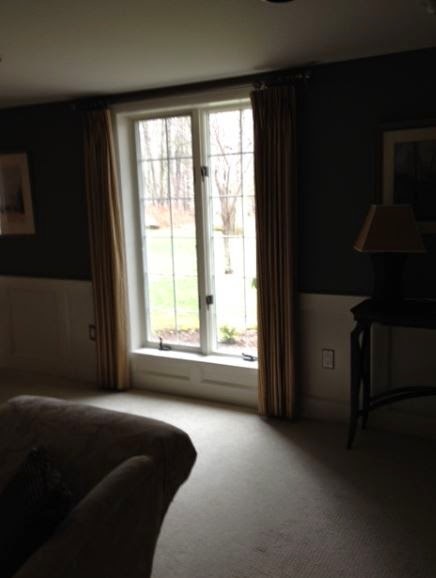 When necessary, turn on all the lights and adjust the windows shades or curtains. Along the same vein, don’t shoot into an overly bright area. Everything in front of the blinding light will be dark or barely visible (see picture below). This is especially noticeable when trying to capture a room that precedes a balcony or terrace. The sunlight from the outside will overwhelm the interior shot. And don’t forget to remove the “time stamp” on your camera if you have one. Don’t accidentally find yourself or your shadow in the photo! You’d be surprised how many photos capture the photographer’s camera, hands, face and even body! Watch out for the most common reflectors such as mirrors, windows, countertops, sliding glass doors and French doors. To avoid taking your own image, move a little to the left or right of the reflective surface. And avoid taking a photo of your shadow in sunny exterior shots. Be mindful of other not-so-common shiny items such as glass-faced clocks, televisions, computer screens, framed art, metallic lamp bases, and metal objects such as appliances, large and small. A blurred image of yourself in a stainless steel lamp may look like a ghost online! Seeing the flash in photos. The shiny items in Tip #2 will all reflect a flash. 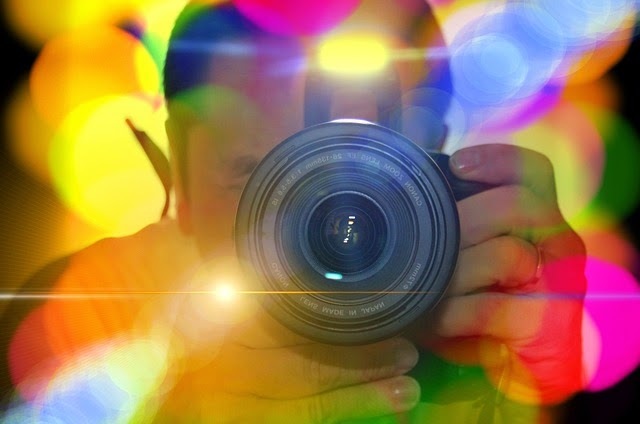 If you are not comfortable using flash photography, then make sure you have plenty of bright natural light. Remove super-personal stuff from your rooms. Yes, you’ve already decluttered your rooms, but look again before you start photographing. Items that have your full name on them such as certificates and diplomas should be removed. Valuable items such as displays of coins, stamps, guns, even jewelry should be removed. Personal items such as large family portraits, trophies and license plates should not be in photographs. Beware of hidden (or not so hidden) objects that will permanently date your photos. Before photographing any room, remove items that will “date” your photos such as wall calendars, clocks, holiday decorations, sports logos, etc. You want your photographs to be clear of these items as well as attractive to the home exchange client any time of year. Not taking a photo of the exterior of your property. The exterior shot consummates the whole story of your property, so remember to include it in your portfolio of pictures. It just takes a little planning to capture your home exchange property in a picture-perfect setting. For more tips on taking the right photographs view this blog. 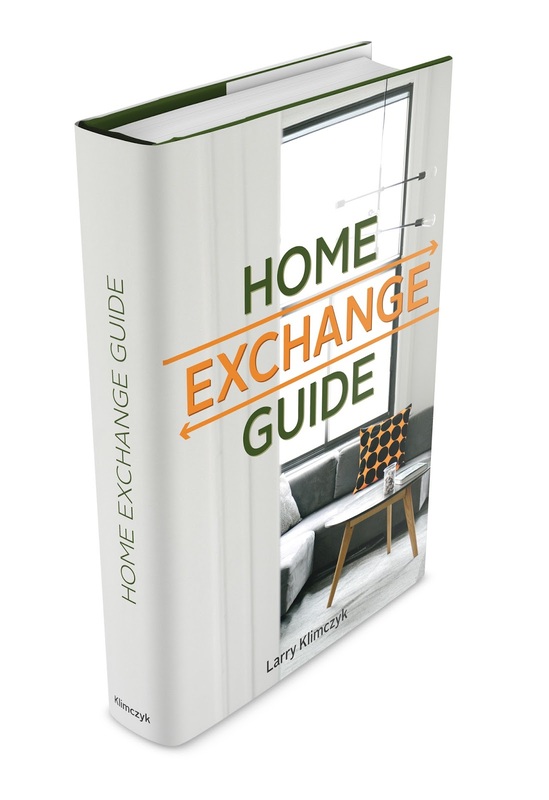 Looking for additional hints and tips on home exchange - get a Free Home Exchange Guide. Austin for this personal review of IVHE property #0983 in Tennessee. I visited Pigeon Forge Tennessee and stayed in a quaint little cabin on the side of a mountain. I was able to book the property easily and communicated with the owners. They gave me some ideas for things to do in the area and were very helpful. The cabin was clean and just as pictured. It was easy to check in and we had everything that we needed. It is a nice place for a couple or small family. It was near the Pigeon Forge downtown area and about 20 minutes from SmokeyMountain National Park. There is lots to do in the area and the cabin has a nice, secluded feel to it. I would recommend it especially if you are a hiker or love nature. Taking an inspirational idea and turning it into a global movement is quite a task. Yesterday was the kick-off event for Global Sharing Week, an idea championed by Benita Matofska who was inspired during a talk by Desmond Tutu. How can all of us improve the world through sharing more with each other? All of us realise the world is a finite place with a limit to resources. Our growing cities and total population places new pressures on these resources. 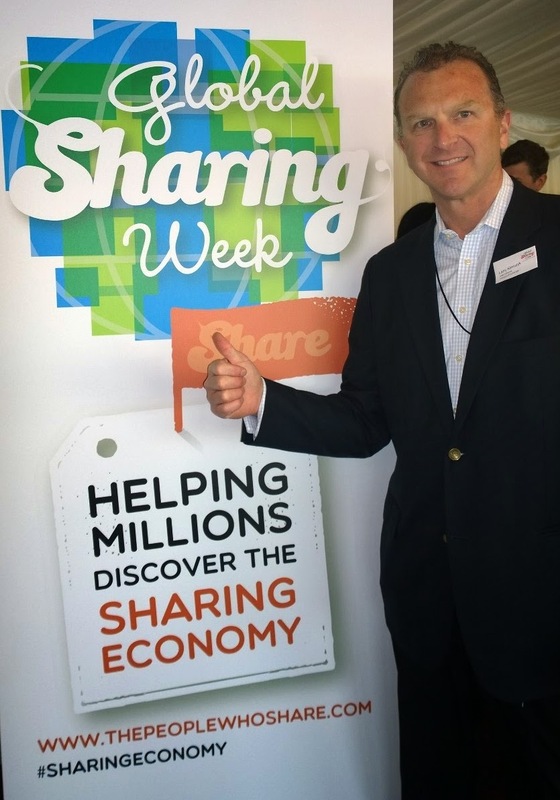 Sharing is all about opening our mind to new opportunities of allowing others to benefit from the resources that we enjoy. In our case at International Vacation Home Exchange, our members share their homes with other like-minded members in over 70 countries around the world. Homes are just one resource that people are sharing. When searching the internet we see opportunities for sharing in many forms – meals, books, clothes, car rides, parking spots, boats and even dogs. This last is a personal favourite of mine. I'm not part of a dog sharing website but I love dogs and due to my frequent traveling it would not be fair to a dog to be away so much. I also enjoy walking. I’m lucky; my neighbor has agreed to ‘share’ his dog with me to create a win-win-win situation. My neighbor has his dog walked, the dog enjoys many days out and about with me and I get some exercise along with the companionship of a fun loving dog. Yesterday’s event at the House of Lords in London’s Parliament building was hosted by Lord Andrew Stone. His address was powerful in setting the tone that sharing is something we can do on a personal basis and as nations in a global community. It can be highly organised or spontaneous. Each of us can do something simple at the grassroots level which can begin to compound and grow leading to amazing changes for everyone. Thank you to our IVHE member, Peggy, for this wonderful review of property #0835 in the British Virgin Islands. The pool was pristine and refreshingly cool after a day at the beaches, with plenty of floats and pool chairs for those who wish to bask in the sun. The kitchen was fully stocked with cookware and utensils, and the gas grill on the deck made BBQ quick and easy. You can walk to the Baths, and Spring Bay is a short 2 minute drive. TV's are available in the cottage, master bedroom and great room. We were pleased to see a travel scrabble board and some books. There are plenty of "What to do on British Virgin Island" pamphlets and books. The property manager, Debbie, was wonderful and even stopped with us on the way from the ferry so that we could get groceries for the next morning. We loved the breezes that were almost constant during our stay, and we couldn't be more pleased with our stay at the Bigger Splash and highly recommend it for a fabulous home exchange! If you think about it, all weddings have a kindred objective: to legally join two people in a state of matrimony. The difference between one wedding and the next, however, is in the details. If your dream is to have a destination wedding, look to the International Vacation Home Exchange site www.ivhe.com for an impressive array of luxury properties to serve as your “home away from home” while you tie the knot. The right house swap or exchange will set the stage for a destination wedding, whether it takes place overlooking a loch along the green hills of Scotland, or on a beach in the tropics. Let’s take a beach, sun and sand wedding, for example. The IVHE.com site offers luxury accommodations in tropical areas such as Barbados, Mexico, Costa Rico, Antigua, and much more. Properties range from villas to apartments, offering the traveler such luxury amenities such as direct waterfront views, private pools and Jacuzzi’s, lush gardens, private balconies and terraces, and sandy beaches. Accommodations also range from a private pied-à-terre for two, to villas that sleep 10 or more guests. “Montezuma Villa” in the Puntarenas area of Costa Rica is a dazzling private villa with lake views that will accommodate 10 guests. It boasts a pool and tennis court on 20 acres - IVHE Property #787. “Happydays Villa” in St. James, Barbados offers luxury accommodations for 10 guests with a private pool, housekeeping/cook, laundress and maid - IVHE property 1046. In Manzanillo, Mexico, up to 10 guests can enjoy dramatic water views from this ocean front villa in a gated community that also has a private pool and Jacuzzi - IVHE Property 1040.
sits “Carib House”, a five-bedroom villa that can host 10 guests. Enjoy this swimming pool and stunning views - IVHE Propery #855. From a waterfront sandy setting with picture-perfect sunset views, to a midnight bite of wedding cake on a balcony overlooking the pool, every element of your dream destination wedding can be fulfilled with a special home exchange from IVHE.com. Planning ahead will help make the transition from home to vacation abroad as relaxing and stress-free as possible. Yes, it’s an extensive list, but some items (pet boarding and traveling with kids) may not apply to you. 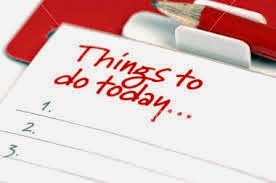 Remembers a bit of preparation can help avoid future problems and all of us want a perfect vacation. Make sure your important documents such as your passport and driver’s license are up-to-date and do not expire while you are away. 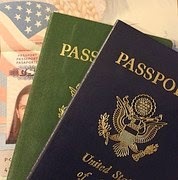 Many countries require 6 months validity on your passport before entering. Refill all necessary medications and make sure you have your health insurance card with you. If you carry prescription controlled medications, or anything that requires hypodermic needles such as medications for diabetes, make sure you have a copy of your doctors’ prescriptions. Get a second pair of glasses from your eye doctor if you don’t already have a pair. Depending upon where you are traveling, check to see if there are any requirements for immunizations or vaccinations. Check into travel insurance and see if it’s appropriate for your trip. Call your own car insurance company and inquire if you need car rental insurance, or if you are covered where you are going. Figure out what you need to carry in cash, traveler’s checks, foreign currency, etc. Head to your bank to have some of your cash converted into local currency for your trip. More tips on getting the best exchange rates are here. Alert your credit card and debit card holders that you will be heading abroad. Check on fees for using these cards when traveling. At the same time, check the expiration dates to make sure they don’t expire while you are away. 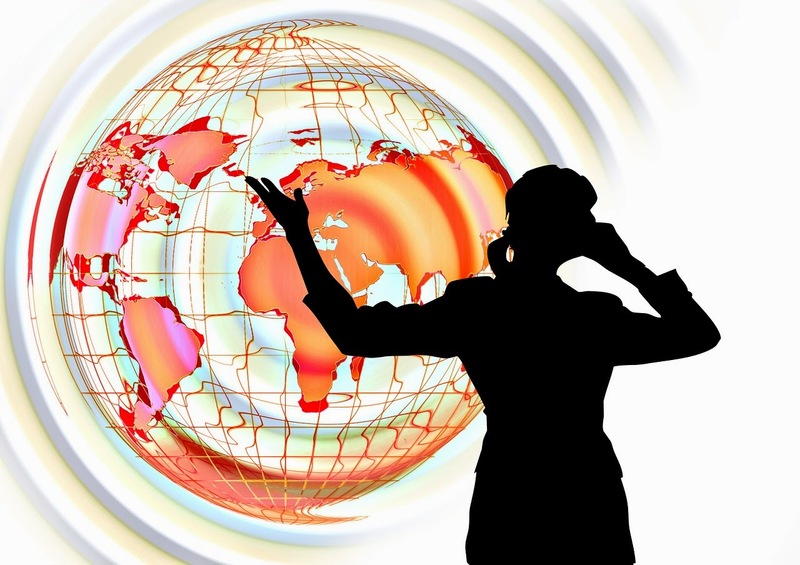 Call your mobile / cell phone carrier and check on things such as adding global service, any fees for using your phone abroad, and the possibility of getting a SIM card for international calls. Book reservations now for passes to museums, the theatre, concerts and restaurants. Buy a rail pass now, if needed. Many places around the world offer ‘city passes’ for tourist that offer significant discounts. Call your airline or check their website for regulations on the weight, size and allotment per person of carry-on and checked baggage. If you are traveling with children, make sure you have all their necessary documentation such as passports, consent papers (if traveling with one parent) and copies of adoption papers, if necessary. Purchase electrical adapters and a second charger for your phone / tablet / laptop. Check your camera to see if you need to purchase an expanded memory card and batteries. Arrange for any house sitting services, if necessary. Suspend your mail and newspaper delivery, plus other recurring services such as housekeeping, deliveries, etc. Make accommodations now for any pet boarding or pet sitting services. Make sure your pets’ veterinarian medications and shots are up to date. Using your phone’s camera, take photos of all your important documents (passport, health insurance card, driver’s license) that you will be carrying with you. Better yet, make copies of these documents and put the copies in your suitcase, not a carry-on or purse. Make sure you have a copy of your travel information including all the names, addresses and phone numbers of airlines, accommodations, car rental, limousine driver, contacts, etc. Give a copy of your itinerary and any important phone numbers to a relative or friend who is not traveling with you. Congratulations! You've made the decision to list your home on the IVHE.com site. Whether this property is your primary residence or a second home, you need to prepare it for the luxury home exchange guest. Here are some quick tips to help you ready your property for home swap and/or exchange and make it shine. For more information on home exchange, download a free Home Exchange Guide. Every surface of your home should be sparkling clean. 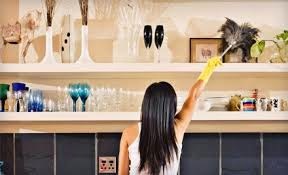 A clean home always looks brighter, fresher and smells better. If you have a family, set aside a ‘family cleaning day’ and make it fun for everyone. Assign each member of the family a room, or work in pairs. If housework isn’t your thing, hire professional cleaners. De-cluttering means removing lots and lots of extra pieces from surfaces, walls, closets, cabinets and rooms. Smart homeowners will take this opportunity to ruthlessly weed through items and either throw them away, give to charity, or pack them up for storage elsewhere. By removing the clutter, the focus shifts from the "stuff" in the room to the room itself. Start by removing things in the kitchen, the most cluttered room in a home. Remove everything from the outside of the refrigerator and the top of the cabinetry. Cull through the cabinets and countertops. Do the same with the remainder of the rooms in the house. Go through each room, medicine cabinet and closet and remove, pack away, and de-clutter. Do the same with the garage and basement. The outdoor area of your home should be addressed, as well. Removing an excessive amount of framed photos, diplomas, certificates, trophies, awards and collectibles will result in a lighter, airier and more welcome feel for your guests. Too much personal stuff will make your home exchange guests feels as if they are intruding on your space. Armed with a clipboard, write down every little thing you see that needs to be fixed or replaced such as a broken window pane, loose door handles, windows that do not open, missing light bulbs, dripping faucets, or even something as small as a missing outlet cover. Once you have your list, either fix it yourself, or hire someone to do it for you. Staging is the new fancy word on the real estate scene. In essence, it means “setting the stage, or enhancing a home’s features” to appeal to all. Staging your house is like entering a beauty contest. You want to look beautiful and win the contest. It can involve the re-arrangement or re-use of furniture and art, or replacement of worn or outdated accessories. Staging should be the last thing done after cleaning, de-cluttering, de-personalizing and fixing. It should be completed prior to having the home photographed and can be done by the homeowners or a professional staging company. Remember, think about how you would like to see a home that you are visiting. In the hustle and bustle of today’s business and vacation travel, “smart” travelers wouldn’t leave home without their smart phones. Yes, they are necessary for emergencies and for last-minute changes to your plane and hotel schedules, but loaded with some great travel-related apps, these phones morph into handy resources that take the place of a stack of books, folders and unwieldy maps. Here are a few useful apps for travelers. 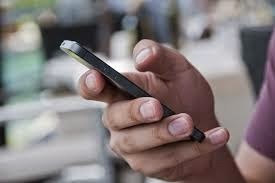 Most are free to download, connecting a wealth of practical and valuable information to your fingertips. Before you head out your own front door, you need to pack for your trip, whether a long weekend or a month in Italy. This app allows you to create and name as many “packlists” as people traveling (think Mom, Dad, Sarah, Jack). It provides a list of places and activities one may encounter on their travels such as beach, business, hiking, golf, etc. Each category includes a list of items that might be applicable to your trip. For example, the “beach” category lists beach bag, towel, goggles, snorkel, sun hat, etc. so there’s no reason for you to mentally figure out what you need. There are comprehensive lists that remind you of common items (alarm clock, business cards, spare glasses, umbrella) as well as important items (driver’s license, passport, tickets, health insurance card) that you can click off as you pack. This is a voice to voice translation app. No more flipping through bulky translation books to find the Swedish word for “train.” You tap the microphone to say your word or sentence and choose the translation from 92 languages. The translation appears in text and in audio. It allows you to select a male or female voice and control the dialect and speech rate. If you are traveling with others and need to split or divvy up expenses, this is the app for you. Every expense can be entered, divided and stored in just seconds. You can have an unlimited number of participants, create even or uneven splits, and convert currency. It allows you to attach receipts, view daily expenses, and even add photos. Yelp is an awesome guide to finding the best (and the reviews to back it up) pizza parlor, hot breakfast, coffee shop, drycleaner, wine shop, hair salon, you name it, while traveling. According to Yelp, there are more than 50 million reviews on businesses world-wide. Each business listing includes its phone number, address, hours of operation, map, directions, photos, and reviews by real travelers, just like you. So when you are craving the best cheese, chutney and gluten-free bread in Edinburgh, you’ll find the right place. There’s not much we can change about the weather, but we can plan for it (use your Pack The Bag app for reminders of rain hats, slickers, umbrella). One of the best weather apps is the International Travel Weather Calculator, Weather +, which gives you the current weather conditions and a five-day forecast worldwide. Features include a world clock, ability to easily go back and forth between different locations (see what the weather is like at home), and an easy switch for Fahrenheit/Miles to Celsius/Kilometers. Seattle: Space Needle, Starbucks, Salmon, Seahawks and Beer! 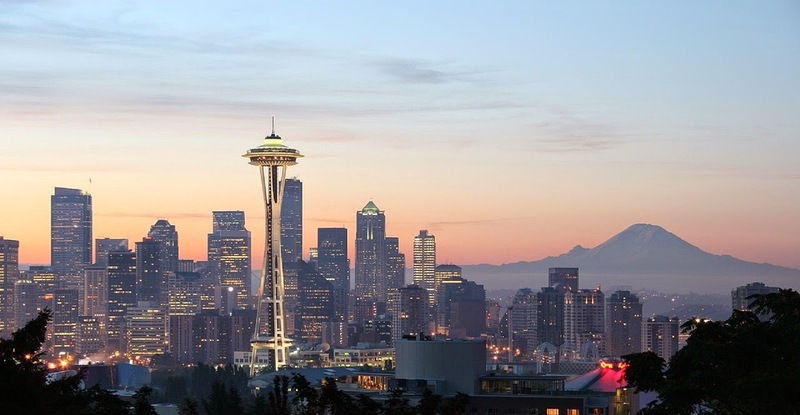 The Emerald City, Seattle is known for many great things; from the iconic Space Needle built for the 1962 World’s Fair, the home of the original but now global Starbuck’s coffee house, the Superbowl XLVIII champions The Seahawks and of course the local delicacy of both fresh and smoked salmon. But did you say beer? Seattle is not home to goliath companies like Anheuser Busch Inbev, Heineken, SAB Miller, Asahi or Carlsberg, but did you know that Seattle has one of the world’s densest areas of microbreweries? Ballard, a lovely area in Northwest Seattle is home to 10 microbreweries. 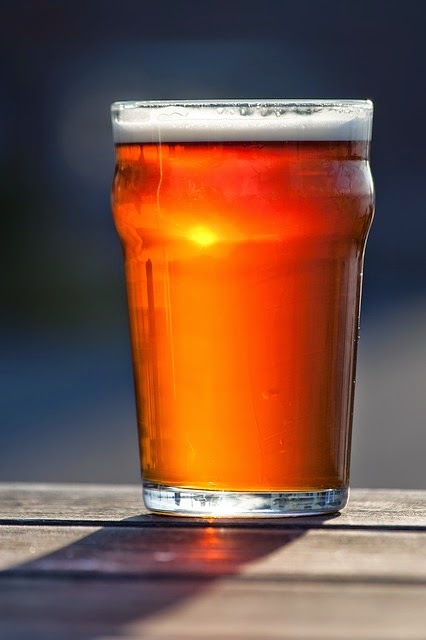 From IVHE property 1134, you can create a great pub crawl to experience all 10 of these original brews as they are within a mile of this charming property! While the beer is fantastic, you can also enjoy plenty of excellent restaurants, close to fifty (50) options, ranging from Vietnamese, Italian, Puerto Rican, Mexican, Chinese and one of my local favourites Chinook’s at Salmon Bay located at the Fisherman’s Terminal. If you feel like cooking (take advantage of staying in a furnished home) the Ballard Farmer’s Market is a great way to get fresh ingredients every Sunday morning. Of course for an even wider selection you can make the quick trip to the world famous Pike Place Market. Have you ever visited a working waterway lock? Locally known as the Ballard Locks, the Hiram M. Chittenden Locks are at the entrance of the Lake Washington ship canal where you will see hundreds of working fishing boats, pleasure sailing boats and yachts throughout the year. Catch the salmon run and you truly see how nature also uses these man-made water gates. Just up from the locks is Golden Gardens Park where the views of the Puget Sound are stunning. From June to August seals visit the rocky shoreline and at the northern end of the park look for a beaver lodge. Also within a mile from this IVHE property is Seattle’s Woodland Park Zoo. Feel like stretching your legs a bit more? Also nearby is Green Lake a local favourite for walkers and joggers. The circumference is a easy 2.8 miles (4.5 kilometers) and offers lovely views with plenty of birds and people watching opportunities. We have only scratched the surface of what Seattle has to offer, best you plan your first trip, sit down and map out your full adventure while enjoying a nice local beer. Cheers! With the popularity of the PBS series, it’s no wonder everyone wants to live vicariously through the gracious lives of the Grantham family. Who doesn’t dream of joining the elegant Counts and Countesses and Lords and Ladies and dining sumptuously in their elegant British home? Or having their own ladies maid or valet at the ready, not to mention their own Mr. Carson and Mrs. Hughes, in position to smoothly attend to any personal or household problem. Even a Congressman in the United States resigned his post following what was dubbed the “Downton Abbey” scandal after spending more than $40,000 in taxpayers’ money to decorate his Washington, D.C. office to mimic the set of the TV series. He may not have been able to legally embrace the Downton Abbey culture, but you can. You can create your own Downton Abbey experience (and not have angry taxpayers at your door) through a vacation home exchange to the place where it all began: England. There are many International Vacation Home Exchange (IVHE.com) properties that would be the envy of any titled Edwardian. The IVHE offers home exchanges and swaps all over England including properties in Bath, Cambridge, Oxford, York, London, Chathill, Sommerset, and the Cotswolds, to name a few. Properties range from luxury estates to sprawling single-family homes, cozy cottages, historic buildings, city apartments, luxury townhouses and boutique hotels. To view the many homes available in England simply click here. One property near Bath is a Gothic Victorian that boasts eight bedrooms. Another, just outside of London, features a beautiful garden and in-ground pool. Maybe a luxury Bed & Breakfast property in Devon is more your style, complete with views of the rolling countryside. Embrace your dream and experience all that England has to offer in an IVHE home exchange vacation.